The company behind Official Santa Claus of Finland is ProSanta Oy that belongs to the SantaPark Arctic World corporate group. The company started business as a Santa Claus service in 1997 and today is one of the world’s most esteemed providers of once-in-a-lifetime Christmas experiences. Approximately 100 employees work for Official Santa Claus of Finland. Santa Park Arctic World owns e.g. 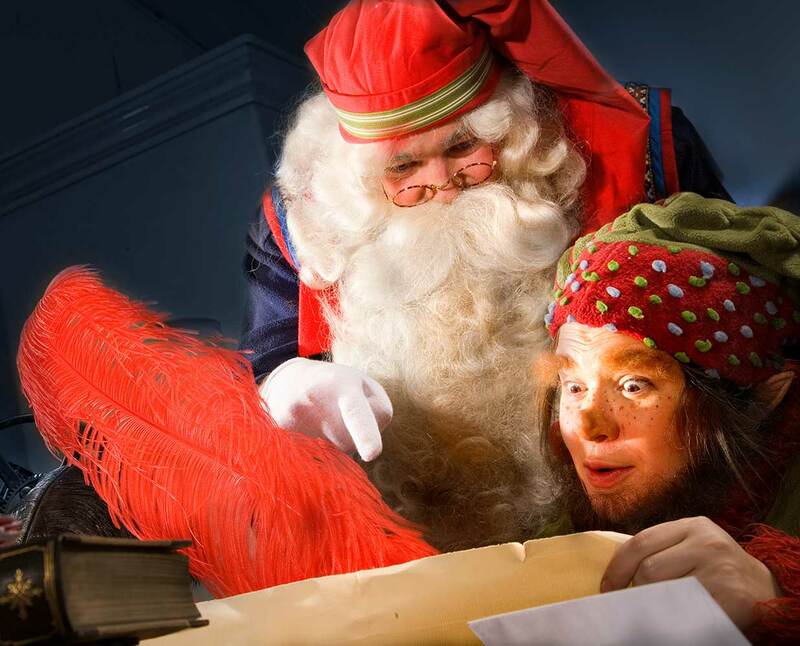 experience destinations in Finnish Lapland, SantaPark and Santa Claus Secret Forest. The domicile for operations is Rovaniemi, the Official Hometown of Santa Claus, with excellent global accessibility. What does the Official Santa Claus of Finland mean? Santa Claus comes from Finnish Lapland. Each year, hundreds of thousands of people travel here to experience the winter wonderland and to meet the real Santa Claus. There is also great belief in Santa Claus in Finland: Santa Claus represents our nation together with ministers on foreign trips and a variety of international events. In 1998, Finland’s Ministry of Trade and Industry published a Santa Claus Handbook where Santa Claus is presented as a highly esteemed colleague. This handbook specifies criteria regarding, for instance the costumes used by Santa Claus in official appearances. The handbook criteria have been the basis for activities and quality since 1998. Santa Claus is a distinguished institution for us, whose duty it is to convey happiness, friendship, caring, sharing, and a touch of magic. Meeting Santa Claus and believing in the fairy-tale of Christmas are the best-loved childhood memories for many and many want to share the same experiences with their own children. As ambassadors of this institution, we handle our duties with the utmost sincerity. All of Santa’s Helpers attend wide-ranging training from language studies to child psychology and the Christmas traditions of different nations. ProSanta’s founder, Ilkka Länkinen, is the quality manager of the original Santa Claus Association, and since the late 1990s he has been actively involved in the Santa Claus institution. For us, Official Santa Claus of Finland means quality criteria that ensure success in conveying joy, happiness and the magic of Christmas for our customers and their customers, and for adults and children alike.